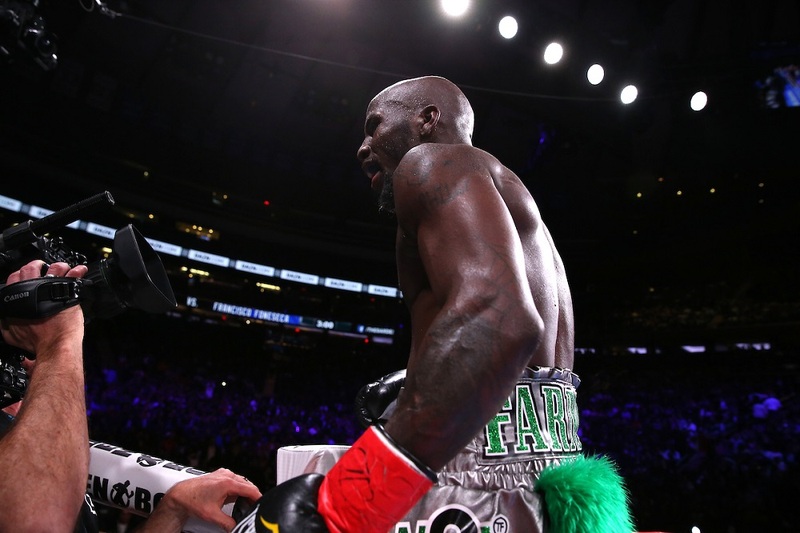 Tevin Farmer will defend his IBF World Super-Featherweight title against Jono Carroll at the Liacouras Center in Philadelphia on Friday March 15, live on DAZN in the US and on Sky Sports in the UK. Farmer (28-4-1 6KOs) makes the third defense of his crown in his first fight on home turf as a World champion, following a wide points win over Francisco Fonseca in New York in December, a win that followed a dominant fifth round stoppage over Northern Irishman James Tennyson in his first defense in Boston in October. The 28 year old returns to the Temple University venue having boxed there in April 2017 against Arturo Reyes – the fight before his first World title showdown with Kenichi Ogawa in Las Vegas in December, where his controversial split decision loss was turned into a no-contest after the Japanese failed a drug test. Farmer would claim the vacant IBF title in August in Australia with a comprehensive points win over seasoned Aussie Billy Dib. Unbeaten Dubliner Carroll (16-0-1 3KOs) fights for his first World title on St Patrick’s weekend against Farmer, with his shot at the title following a closely fought split draw in a final eliminator with Guillaume Frenois in Sheffield, England in December. Farmer and Carroll have been involved in bitter social media spats and will finally come face-to-face for the first time at a press conference to launch the fight in Philly next Tuesday, and both fighters believe the fight will be as fiery as the build-up. “He’s got a World title shot on St Patrick’s weekend, he should be thanking me,” said Farmer. “He’s trying to get under my skin but it’s impossible to get under my skin. He’s making himself look bad and he’s stepping up to a whole different level with me. I’m A-level and he’s going to pay. “He says we both come from tough backgrounds, the hood, that boy hasn’t come from any struggle, no hood. I’m going to show him when he comes to Philly, he’s going to eat his words. He’s trying to get his buzz up but there’s certain things that you don’t say. He’s made this personal and you don’t want to get personal with a Philly guy like me. “This is big for me, fighting as a World champion in Philly. When does Philly hold big World championship shows? This is big – it’s a boxing town but this is as big a show as there’s been here for a long time. I have to thank Eddie, Lou and DAZN for making this a reality, because often World champions don’t always get the chance to fight in their home city. It doesn’t happen, but it’s happening for me and that shows the level of respect that Eddie, Lou and I have for each other. It’s going to be a great night. “I don’t care about these other champions. You never know what is going to happen with politics and people making excuses, but I’m here, I defended the title twice in three months last year and I’m headlining at home. If people really want to fight, it’s simple to do – sign the contract and turn up and fight. “It is only fitting that Tevin Farmer’s remarkable journey in boxing and in life comes back to his home city, Philadelphia,” said DiBella. “In 2018, from Australia to Madison Square Garden, Tevin established himself as one of the brightest and most active stars in boxing. “I’ll do what I want with Tevin, he’s a tiny little child and I’m not afraid of him,” said Carroll. “When we meet, if he’s respectful of me, I’ll be respectful back as that’s how I’ve been brought up – but if comes talking rubbish then I’ll put him in his place. “I see a fakeness in him when I see him interviewed, I see a fake person. My thoughts on him are that he wants to be liked, but he’s not. I reckon he’s arrogant, that’s the man I think he is and I know he’s that sort of flashy person saying stupid things on Twitter. “Tevin is a man that wants to be liked but he plays like he’s Floyd Mayweather, but he’s not half as good as him. He has serious holes in his armory, and I am going to poke every single one of them, I’ll break him up and stop him. Irish sensation Katie Taylor can take a giant step towards her goal of becoming the undisputed World Lightweight champion when she aims to unify her WBA and IBF titles against WBO ruler Rose Volante. Taylor (12-0 5KOs) added the IBF strap to her WBA title in April against Victoria Bustos in Brooklyn, New York, and has since defended the titles three times, stopping Kimberly Connor in three rounds in London in July before shutouts against Cindy Serrano in Boston in October and ending a stunning 2018 by beating Eva Wahlstrom in New York in December. Volante (14-0 8KOs) has defended her WBO crown twice since winning the vacant title in December 2017 and the Argentine won both her defenses in Brazil 2018 by the halfway point, with Lourdes Borbua retiring after five rounds in April and Yolis Marrugo Franco stopped in three in September. The champions put titles and unbeaten records on the line in Philadelphia, and the winner will target Belgian WBC ruler Delfine Persoon for all the belts later in the year. “Ever since I won my first World title as a pro my goal has been to unify the Lightweight titles so this is obviously a massive step towards that,” said Taylor. “Volante is unbeaten so I’m expecting a tough fight but that’s exactly the kind of challenge I want. I think the better the opponent and the bigger the challenge the better I will perform. “It’s a great card to be on especially with so many Irish fighters on the bill on St. Patrick’s weekend in Philadelphia so I’m sure it will be a special occasion. A stacked card in support of the two World title blockbusters is led by a crunch Middleweight clash between Philadelphia’s Gabriel Rosado and Pole Maciej Sulecki and an all-Philadelphia Lightweight clash between Hank Lundy and Avery Sparrow. Rosado (24-11-1 14KOs) is back in action after a controversial all-action fight in Kansas with Luis Arias in November, the former World title challenger drawing with the Milwaukee man. The 33 year old will be desperate to get his name back into contention for major honors with the 160lbs division red hot right now, but Sulecki (27-1 11KOs) will have the same designs on those title shots having bounced back from a loss against Daniel Jacobs in April with a second round KO win in Poland in November. Prospect Sparrow (9-1 3KOs) will be gunning to add a major scalp to his CV in the shape of former World title challenger Lundy (29-7-1 14KOs). Sparrow faces the second ten round clash of his career as he looks to step up his progress early in 2019. Kazakhstan’s Olympic gold medal star Daniyar Yeleussinov (5-0 3KOs) fights for the sixth time in the paid ranks ahead of what promises to be a break out year for the 27 year old, the same of which can be said for two-time Olympian and 2012 silver medalist John Joe Nevin (11-0 4KOs) who joins fellow Irish fighters on the St. Patrick’s weekend bill. “I can’t wait for March 15 at the Liacouras Center,” said promoter Eddie Hearn. “It’s our first ever event in Philadelphia and it’s an honor to promote in this great city on St Patrick’s weekend. “Tevin Farmer is one of the great boxing underdog stories of our generation and I’m so happy he is getting the chance to bring that World championship home against a feisty and talented Jono Carroll.